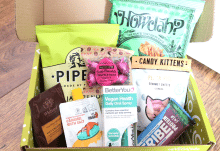 For the Classic box they work out at $39 (£27.44), $37, $35 , and $33 per month. 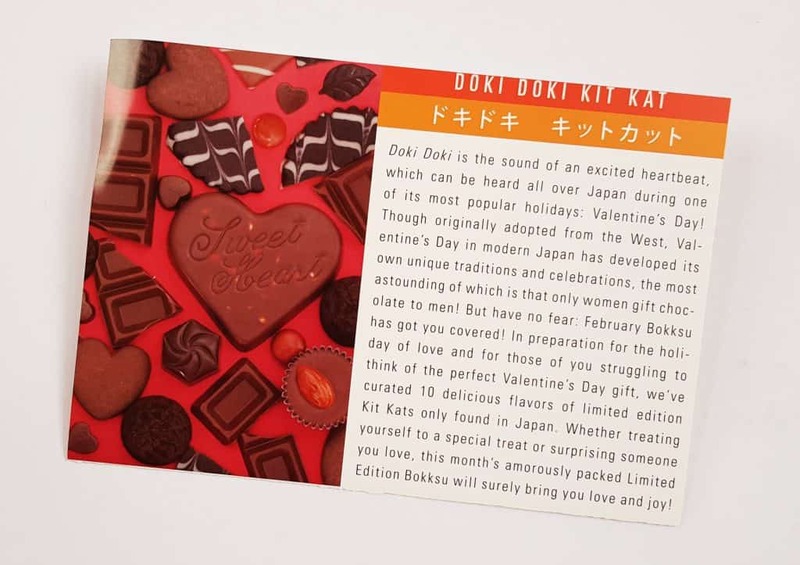 This month’s theme is Doki Doki Kit Kat. How very original for Valentine’s Day! The box arrives in a plain cardboard box, but the actual branded box is lovely. Presentation is excellent, and everything is very well packed. 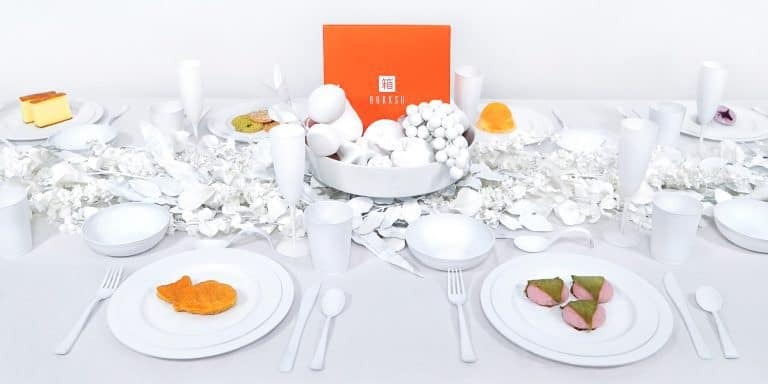 This month’s menu looks a little different from usual. 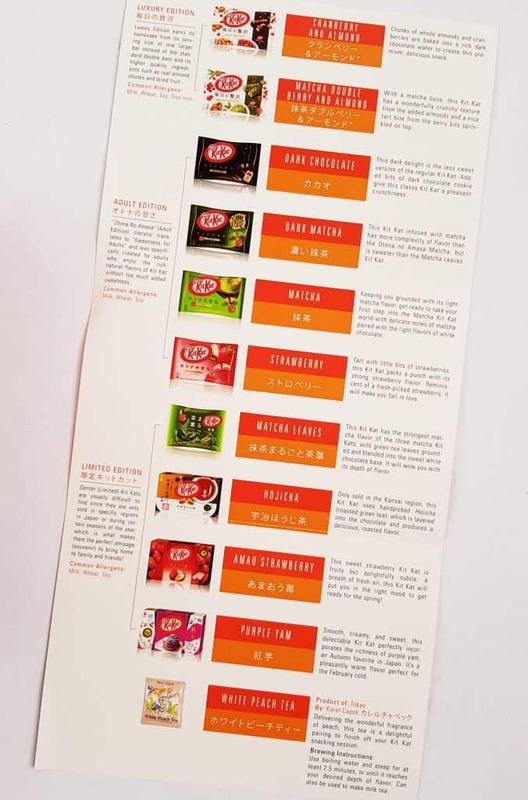 It’s a list with details of the ten different types of KitKat in this month’s box. This month’s tea is White Peach Tea. It’s black tea with peach flavour, and can be drunk hot or cold, with or without milk. So on to the KitKats! There are three different types of KitKat, Luxury Editions, Adult Editions, and Limited Editions. Dark Matcha (Adult). This one has a more complex flavour and is slightly sweeter than the Matcha Leaves version. Dark Chocolate (Adult). This is the less sweet dark chocolate version of the traditional KitKat, and also has bits of dark chocolate cookie inside. Matcha (Adult). This has a light matcha flavour with white chocolate. Strawberry (Adult). This has a strong strawberry flavour with small pieces of strawberry. Purple Yam (Limited). This purple vegetable is popular in the Autumn, and this version has a smooth creamy flavour of it. Matcha Double Berry and Almond (Luxury). This has a matcha base, then has crunchy almond pieces added with tiny berry pieces on top. Hojica (Limited). This one is only sold in the Kansai region. It has roasted green tea layered into the chocolate. Amao Strawberry (Limited). This has a fruity but more subtle flavour than the regular strawberry. Cranberry and Almond (Luxury). This contains larger almond chunks and tart cranberry pieces. 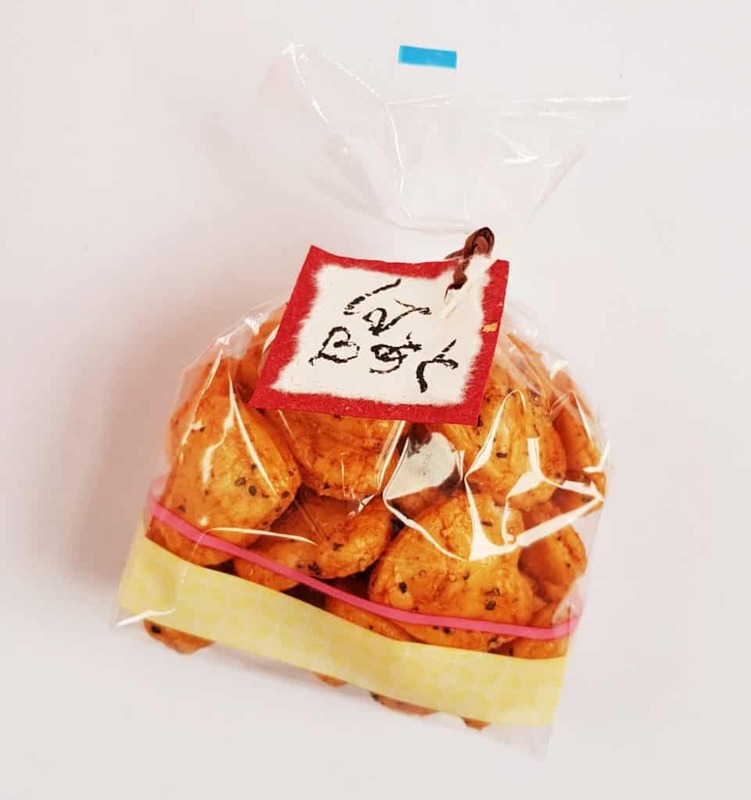 Mini Heart Senbei Black Pepper. These little crunchy rice cakes are flavoured with soy and pepper, and have a lovely spicy kick. Well, this is a remarkable box! 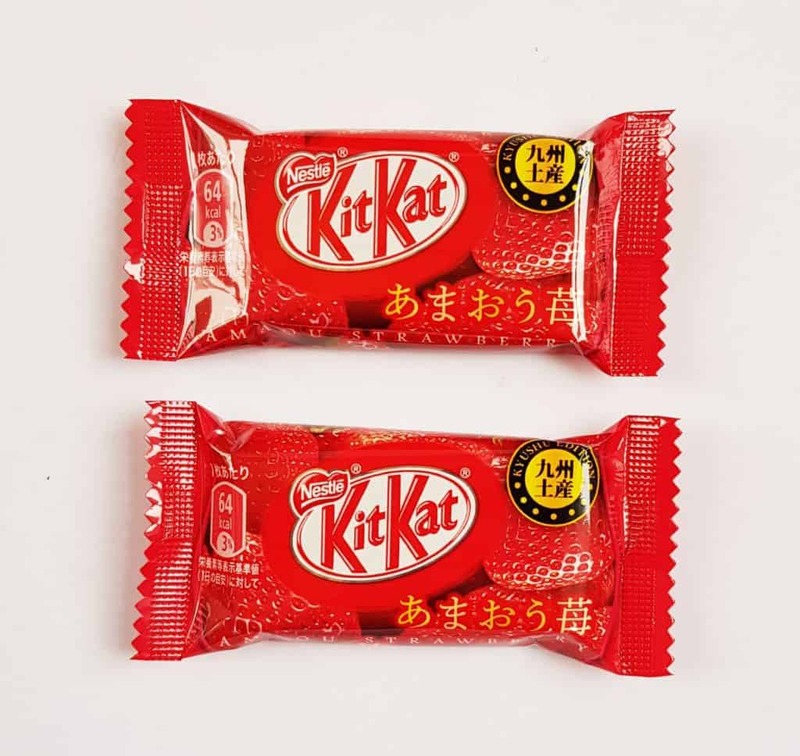 I’ve heard so much about the many different varieties of Japanese KitKat, so it’s a lot of fun having such a great selection. 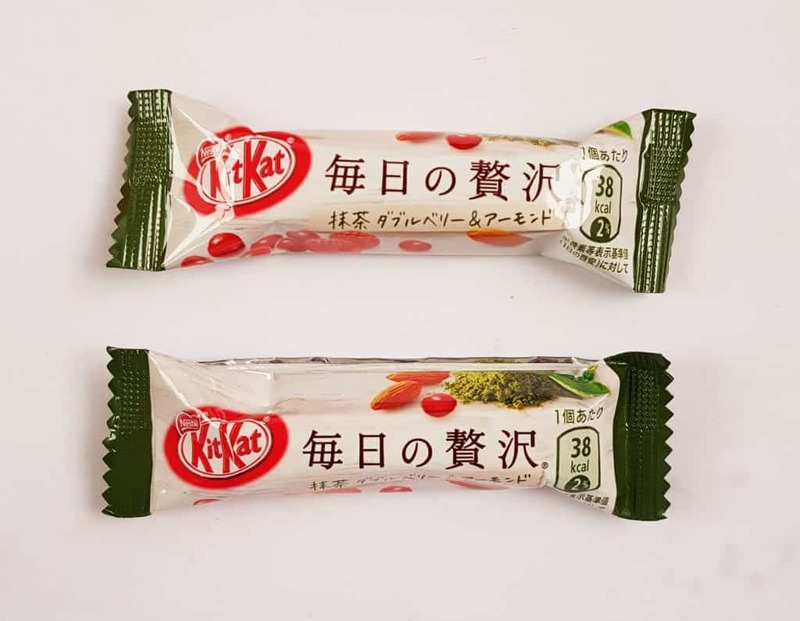 I love matcha KitKats, and I’m very pleased to be able to try some other flavours, especially the strawberry and Hojicha ones. The only tiny reservation I have is that I would have liked it if every flavour had been different, rather than, for example, three matcha varieties. They do all taste slightly different, but it would have been fun to have included something like the raspberry or apple variety. This is only a very tiny criticism though, because I think this is a great box. 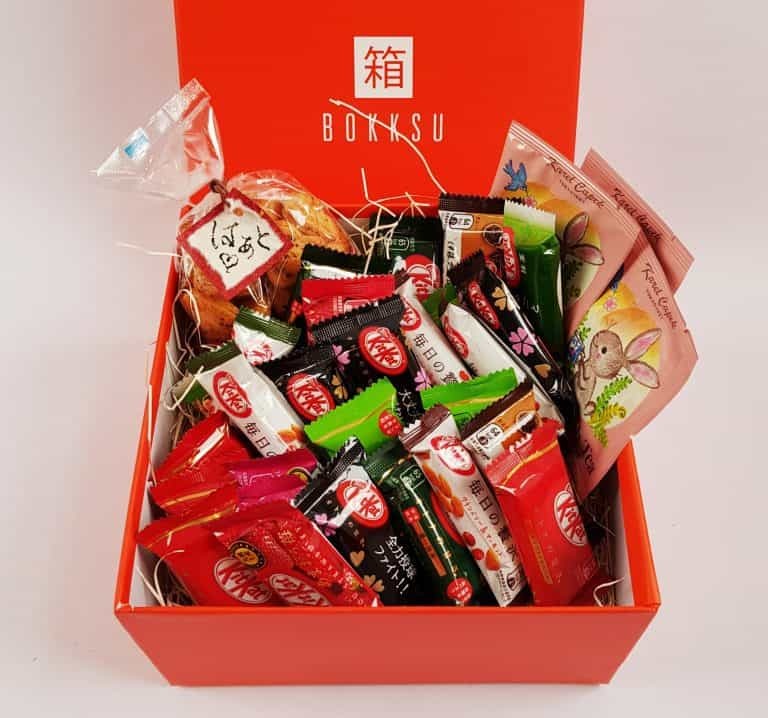 One of the nicest things about Bokksu is that it provides premium Japanese snack items that are very difficult, if not impossible, to find in the UK. I have actually found a UK source for some of these flavours online, but to give you an idea of price, a single bar of, for example, the Amao Strawberry (there are two in this box) costs £1.48! 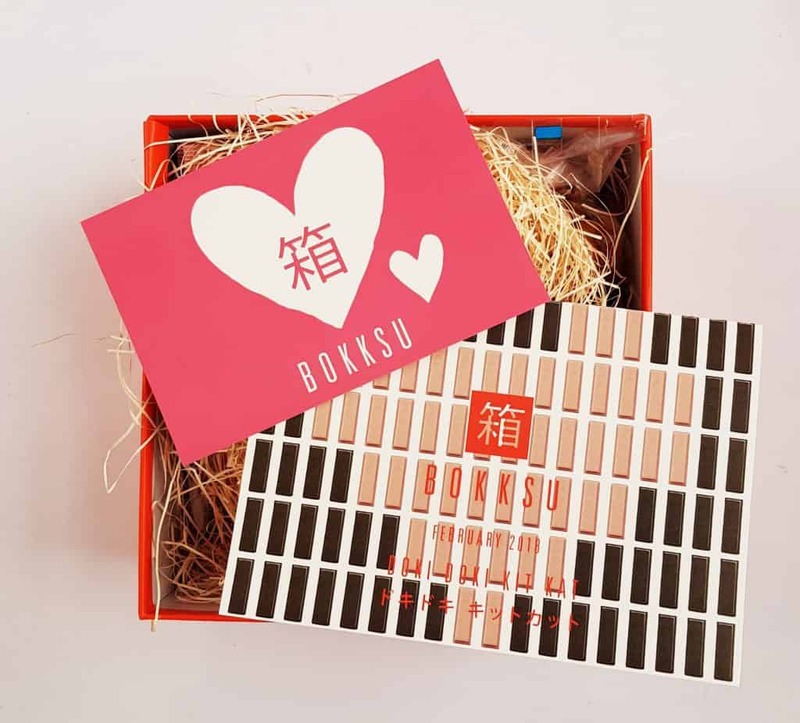 There are 28 bars in this box, plus the tea and senbei, so even at the top subscription price this is extremely good value. 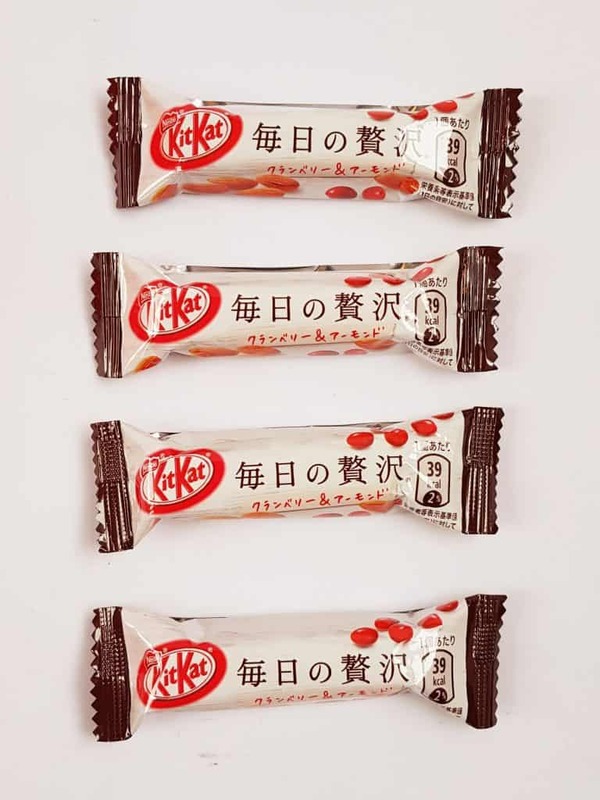 I like the little mini KitKats, because they are great when you just want a little something sweet. 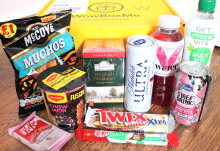 This is a Valentine’s-themed box, and if you’re feeling romantic you could even share it with a loved one. 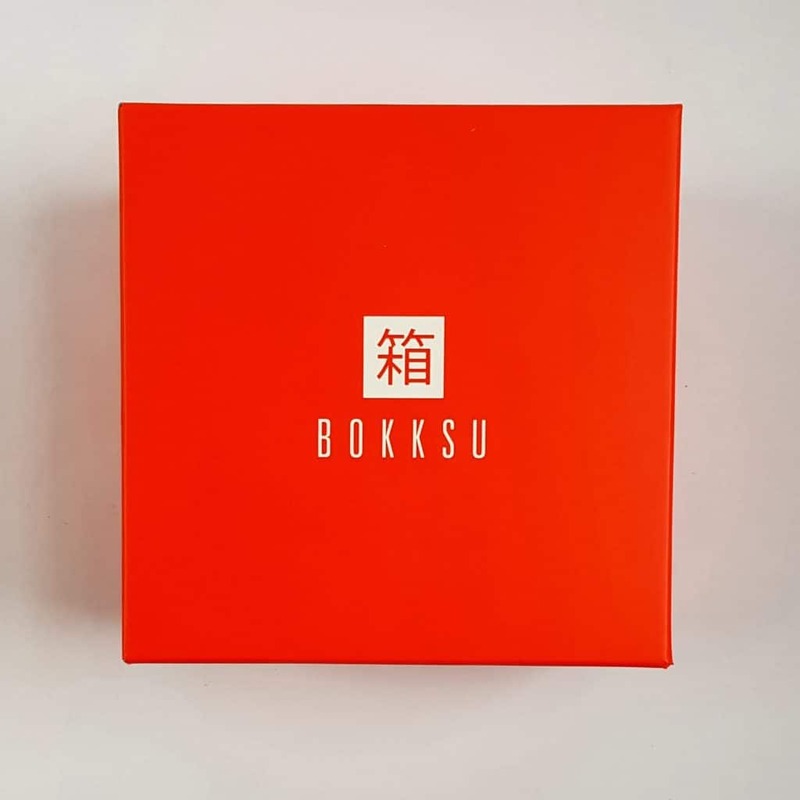 It’s pretty risky making a whole box of different varieties of the same snack, but Bokksu has made a real success of it!